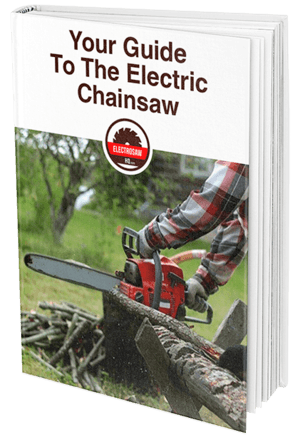 » What Is the Gas to Oil Mixture Ratio for 2-stroke Chainsaws? If you want maximum power and cutting performance from your chainsaws, nothing beats a gas powered 2-stroke chainsaw. But all that extra power comes at a price: you need to keep a close eye on the fuel and oil mixture that you pour into the engine. Get the mix ratio wrong, or forget to add oil, and you can end up with a ruined engine. 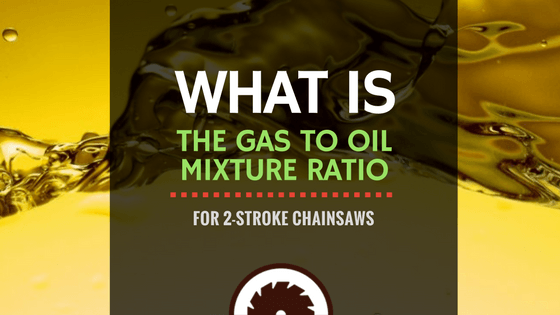 So, what is the correct gas to oil mixture ratio for 2-stroke chainsaws? Premixed chainsaw fuel is a solution, as is making a DIY mix. But since each brand has​ their take on what works best, I thought it best to compile this guide for all the chainsaw owners out there. Why Use A Fuel Mix At All? Is there a significant difference between 40:1 and 50:1 ratios? Premixed vs. DIY Blends: Which is better? What kind of fuel and oil should I use for a DIY blend? A 4-stroke engine stores its motor oil in a separate compartment: the crankcase. 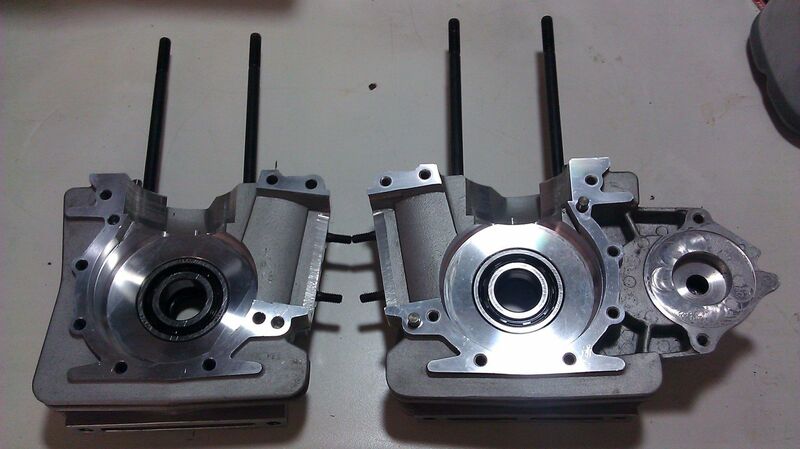 In a 2-stroke engine, there is no oil compartment in the crankcase. The oil for the piston and all the moving parts has to be added along with the fuel. Adding high-quality engine oil reduces friction and keeps the engine working at a safe temperature. If you add too little oil to the fuel, the longevity of your chainsaw engine will be compromised. Internals will overheat, the piston will seize, parts will burn out, and the engine will be beyond repair. Conversely, if you add too much oil, the engine may not start, a lot of smoke may be produced, and the spark plug may get fouled. So, getting your 2-stroke chainsaw fuel mix just right is essential for the safe and extended use of your saw. Looking for a new Gas-powered Chainsaw? Read our recommendation! Just a quick note: here 40:1 means 40 to 1 gas-to-oil ratio, not 40 to 1 oil to gas ratio. Of course, it doesn't make sense to add forty parts of oil to one part of the fuel, and nobody in their right mind would do so, but it's worth mentioning to avoid disastrous misunderstandings. Back in the day, meaning just a few decades ago, 2-stroke engines that used fuel mixes with ratios as low as 32:1, 20:1, and even 16:1 were common. But these engines were notorious for generating a lot of smoke while working. As a result, they were phased out of the market when the EPA imposed more stringent clean air standards. The EPA upper limit for oil ratio for two-stroke engines is currently set at 40:1. Since the new restrictions mean that less oil has to be used, there was a need for synthetic oils that could do more work in lesser quantities. As a result, modern synthetic 2-stroke oils were developed with superior lubricating and cooling properties. Though 40:1 is the ceiling, most of the major brands have come to use the lower 50:1 ratio as the standard for all 2-cycle engines with faster RPMs above 5000. Is there a significant difference in their performance? Regarding exhaust emissions, 50:1 will be the cleaner option. But if you accidentally use a mix of 40:1 in your 50:1 rated chainsaw, or vice versa, it wouldn’t cause any significant issues. But it is always best to stick to the specifications laid down by the particular brand. Older equipment might prefer 40:1, and this richer blend will work on those really old saws rated at 32:1 or higher. When you mention the ratios, as in, 40:1 vs. 50:1, that might sound like a lot, but in reality, the actual amount of oil used is quite minuscule. 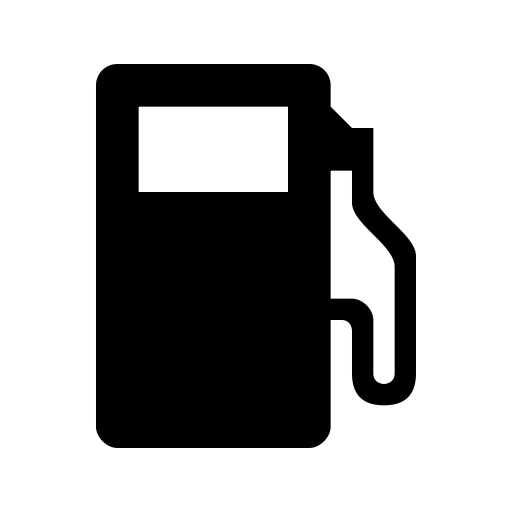 For instance, in US gallons, a 50:1 ratio is equal to 2.5 ounces of oil per gallon of fuel. And a 40:1 ratio is just 3.2 ounces of oil per gallon. The difference is just half an ounce, maybe a spoonful, and that is not going to cause much of an impact either way. You can study a 50 to 1 gas ratio chart online, or you can use a handy converter to calculate your requirement, like this one here. The advantage with premixed blends is that you don’t have to worry about the quality of the component oil and fuel. You cannot simply take any fuel and oil and mix them for your chainsaw. With a premixed blend, all that work is already taken care of, and all you have to do is pour the blend into your chainsaw and fire it up! For example, Husqvarna markets their blend of fuel and oil in a 50:1 ratio, especially for chainsaws. This is one of the best premixed fuel options available for a 2-cycle chainsaw. Available in one-quart bottles, it is perfect for home users who don't have to fire up their chainsaws on a daily basis. But for professionals and regular users, the more economical option might be to make their fuel oil blends in larger batches. All chainsaws need high octane gasoline. Though the stated minimum is usually 87, anything around or above 89 (mid-grade and unleaded) is preferable for maximum performance and longevity. But another huge issue with gasoline you buy is the amount of ethanol in it. Though ethanol is safe for vehicles and most motors, in handheld device engines like those of chainsaws, it can cause trouble. Ethanol does not bond with the 2-stroke oil used in chainsaws and can lead to engine degradation due to inadequate lubrication. Ethanol can also absorb a lot of water, and dissolve or corrode any plastic parts used in a chainsaw. These days most gasoline available in the US is mixed with 10% ethanol (E10 gas). It can be utilized for your chainsaw, but be prepared for extra maintenance to avoid long term issues related to friction, water, and corrosion. Most of these oils are available in conveniently measured bottles, with each bottle containing enough oil to make a 50:1 mix with one gallon of fuel. So you don't really have to worry about finding the correct amount if you are mixing in bulk. Even otherwise, it is not a terrible job, though it can get very messy at times! According to their website, all Stihl-branded chainsaws run on 50:1 ratio of gasoline to synthetic 2-stroke oil. The recommended gas is mid-grade 89 octane, combined with the Stihl branded 2-stroke oils. As we already mentioned, the company sells their range of premixed fuel combos as well as synthetic oils. Their premixed oil has a ratio of 50:1 and is suitable for most of their gas powered chainsaws, according to their official page. Worx, Black+Decker: Their catalogs have electric chainsaw, not gasoline powered ones. Poulan Pro: They too have a branded fuel mix that is rated at 40:1 and ideal for all their gas powered tools, including chainsaws. So Poulan Pro saws require a richer oil mix, at a ratio of 40:1. Ryobi: According to the official user manual of their chainsaws, Ryobi recommends a 2 stroke oil ratio 50 to 1. Remington: According to their official guide online about fuel mixes, Remington chainsaws prefer a gas-to-oil ratio of 40:1. Use high quality modern 2-stroke synthetic oils only. Stick with mid-grade high octane gas, preferably greater than 88-89. If you can find ethanol free gas, use that. If not, stick with E90, and take extra care of your saw, with frequent cleaning of the fuel tank. I hope you found this guide useful (don’t forget to share if you did!). Please feel free to share your thoughts with us in the comments section below. Thanks for stopping by!